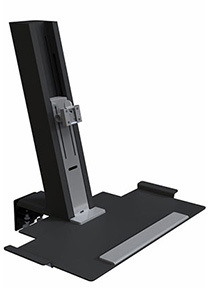 Starting At $699.00 + Free Shipping! 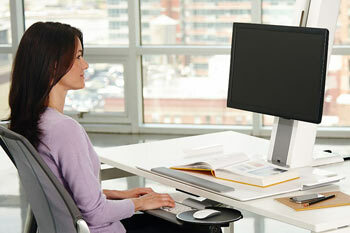 Strong, stylish and simple to use, the QuickStand height-adjustable workstation is built for the modern workplace. 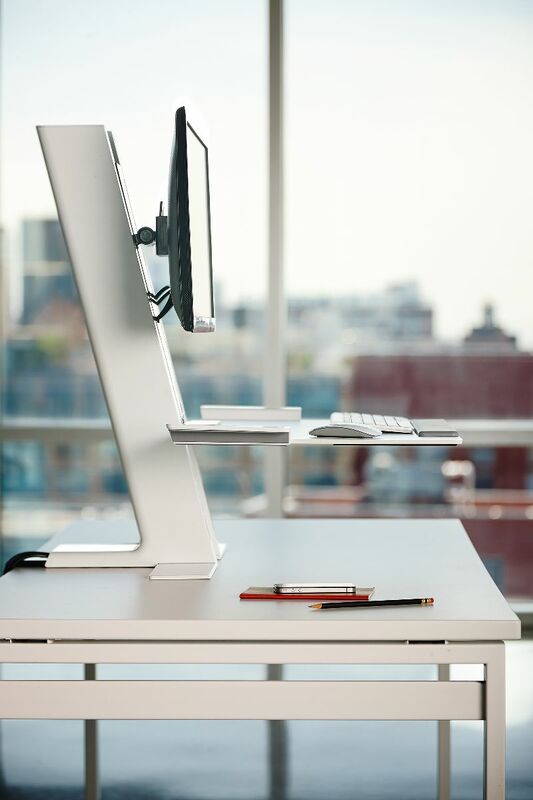 A revolution for today’s workspaces, the QuickStand height-adjustable workstation is an intuitive product created by the Humanscale Design Studio. 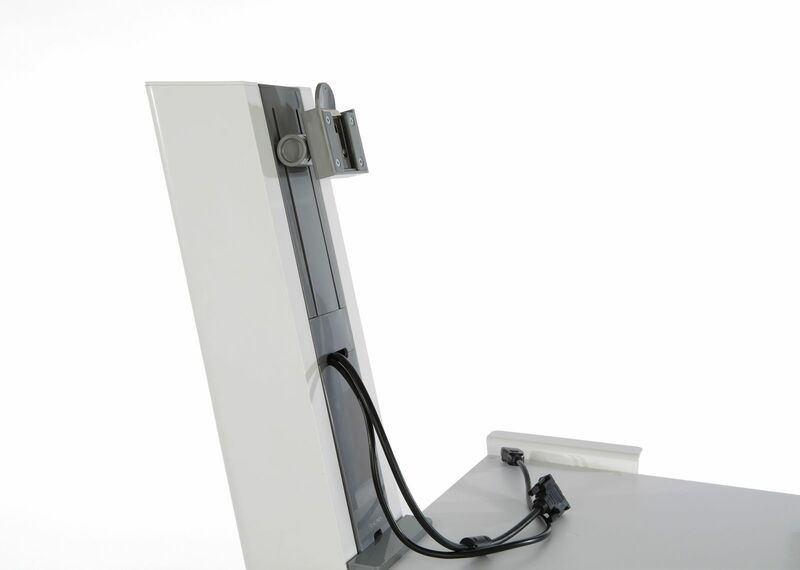 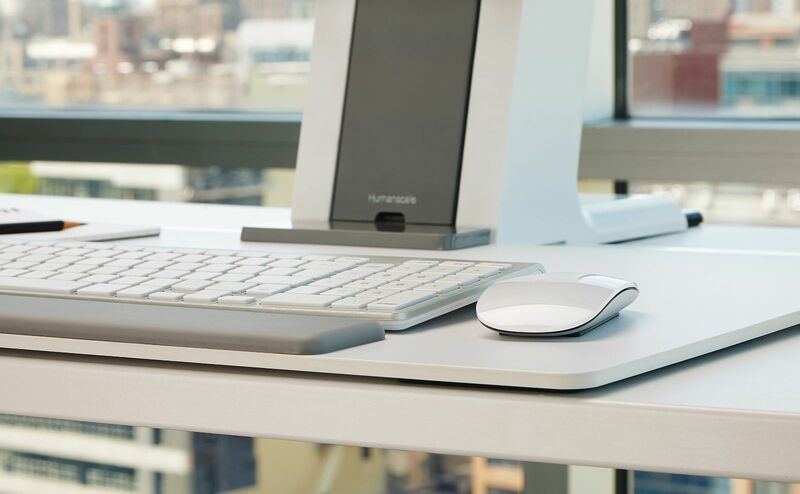 It works by clamping to any existing work surface, instantly transforming a static, or “dumb,” desk into a smart one. 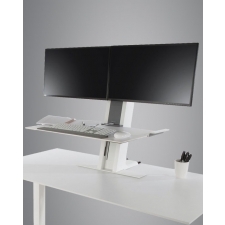 Allowing the user to alternate effortlessly between seated and standing postures, the QuickStand height-adjustable workstation promotes balanced movement throughout the day, and its clean aesthetic complements any environment. 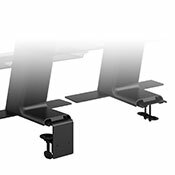 Its sophisticated cable management system saves valuable time by allowing users to simply plug in and go, while its sturdy build makes it a reliable investment in employee health and wellness. 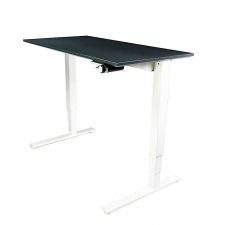 What Is The Best Stand Up Desk Converter? 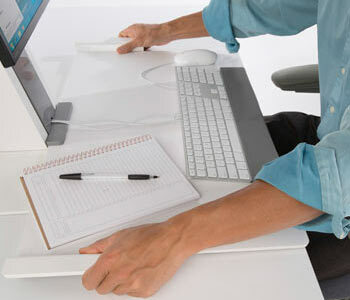 Electric vs. Crank vs. Converter: Which is the best for me? 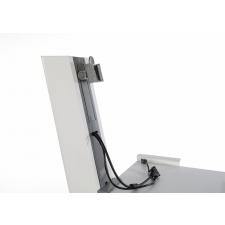 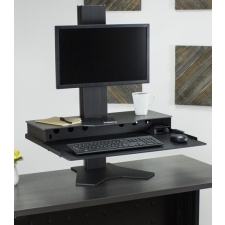 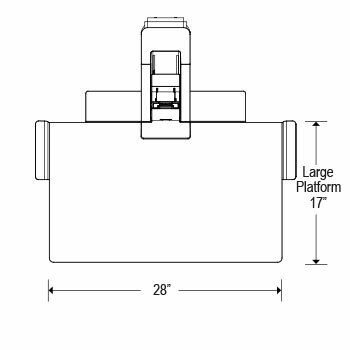 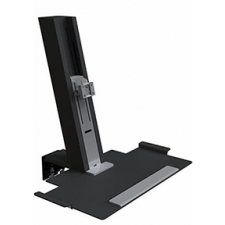 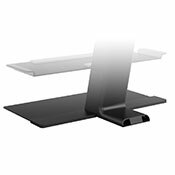 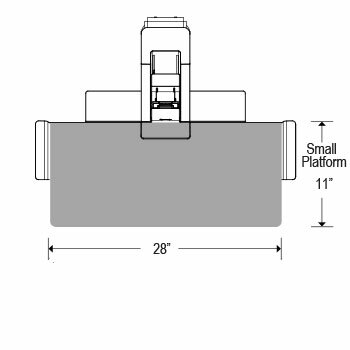 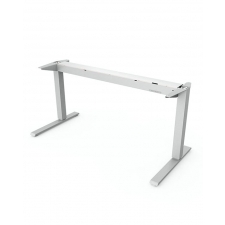 How Much Does A Standing Desk Converter Cost? 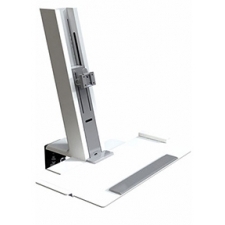 QuickStand makes sit-to-stand easy and portable. 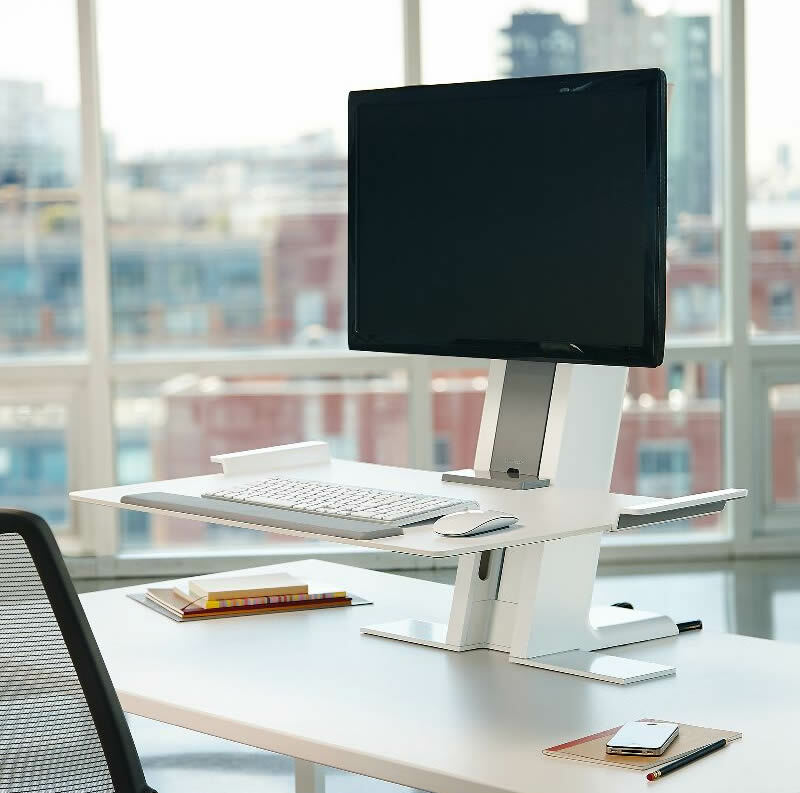 With the ability to move with or independently of the screen, QuickStand’s lightweight platform allows the desk to adapt to the user’s changing comfort demands. 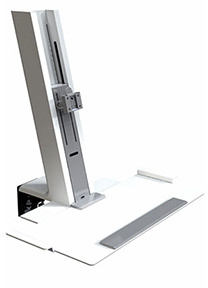 Unlike other height adjustable solutions on the market, QuickStand can effortlessly be moved from one work surface to another. 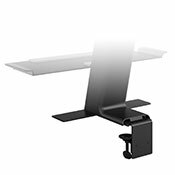 Light Monitor Mount - Single Screen up to 11lbs. 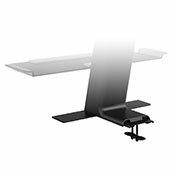 Heavy Monitor Mount - Single Screen up to 30lbs.